Share the post "Correa Backhouseana Or Australian Fuchsia"
Australian shrub Correa backhouseana is a beautiful little charmer, a flowering plant in the family Rutaceae. It is a coastal shrub with the ovate glossy leaves dark green on top and pale grey underneath, covered in fine hairs. The drooping, bell-shaped pale yellow-green to white in colour flowers hang from a neat, suede-textured cap. Each petal tip is finely blushed pink. Backhouse Australian Fuchsia or Tasmanian-fuchsia are common names for this plant. Although not directly related to the fuchsia the similarity of these lime yellow blooms is obvious and they hang in wonderful contrast to its dark evergreen foliage. The species is named for James Backhouse, who collected the type specimen at Cape Grim in Tasmania in 1833. Hardiness: Hardy. Bottom end of USDA zone 8. UK H2. Can tolerate light frosts down to -5°C (23°F). Light: Full Sun. Will tolerate part shade. Soil: Sand, Clay, Loam. Neutral to Acid. Propagation: By seed in spring, or by semi-hardwood cuttings in summer. Uses: Patio & Container Plants, Shrub Border. Screening Plant, Along Fencelines. Flowers and foliage can be used in floral arrangements. Tips: Best planted against a warm wall, facing south or west. Pssible to grow in a pot so that it can be protected against the bad winter weather. Do prunning in spring after flowering if needed. 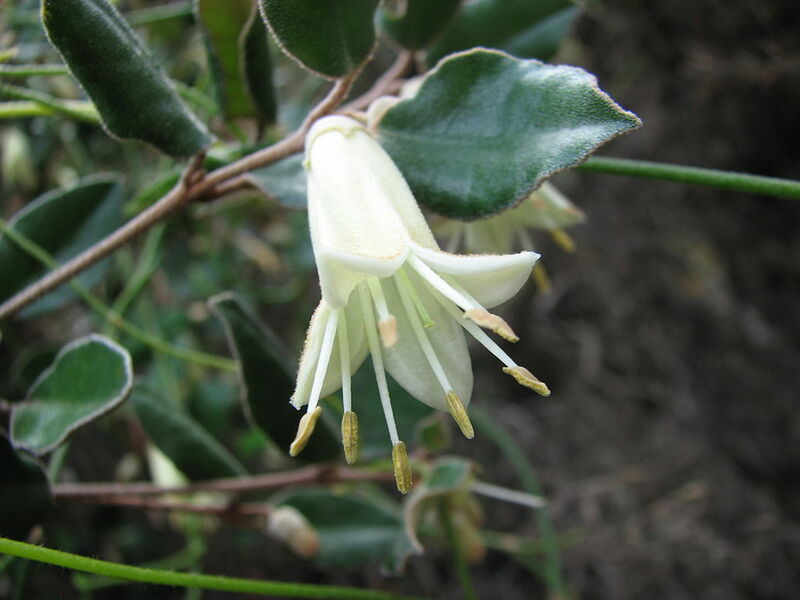 Do you grow Correa Backhouseana (Australian Fuchsia) in your garden? What is your experience with this plant? Please share with other fellow gardeners in the comments below! Do you sell Correa Backhouseana (Australian Fuchsia) seeds or have plants for sale? You can place your advertisement here. Contact us now!